Strong networks mean strong communities. There are more than fifty Down syndrome support groups across Canada, detailed on our Affiliates & Local Groups page. But we always welcome more. We would like to see a group in every urban area of the country, because we understand that strong networks mean strong communities. Many Down syndrome support groups are simply networks – a collection of people who have an interest in Down syndrome. 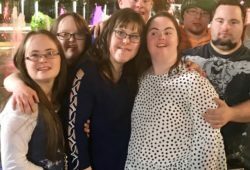 Members are predominantly parents, guardians, and caregivers, but can include a web of relatives, friends, siblings, professionals and members of the general public who have an interest in Down syndrome. Congratulations on taking the first step to starting a Down syndrome group! 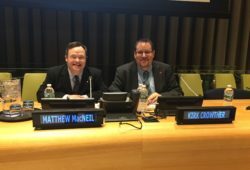 The Canadian Down Syndrome Society applauds your initiative and is available to offer materials and services that can help you along the way. CDSS is committed to helping individuals or groups interested in holding events or forming support groups for those with Down syndrome and their families or peers. When starting your own group, the first step is to decide what kind of group you would like. Often Down syndrome groups start informally with the opportunity for parents and supporters to meet, get to know each other, share their stories, and decide what Down syndrome programs or services they would like the group to provide. The logistics often follow the initial meetings of interested parents: “mutual support” tends to come first, and the structure follows. You might have questions along the way about starting your local network or group. Contact us today – we can provide you with information and suggestions, along with our pamphlet, The Guide To Starting A Parent Support Group. You can also check out our Affiliates & Local Groups page as there may be an existing group near you. Thank you for your interest in volunteering with the Canadian Down Syndrome Society. There are no current volunteer opportunities available at the CDSS office. However, there are opportunities to volunteer with us at the Canadian Down Syndrome Conference, at Go21 events or with VATTA. Please visit those pages for more information.